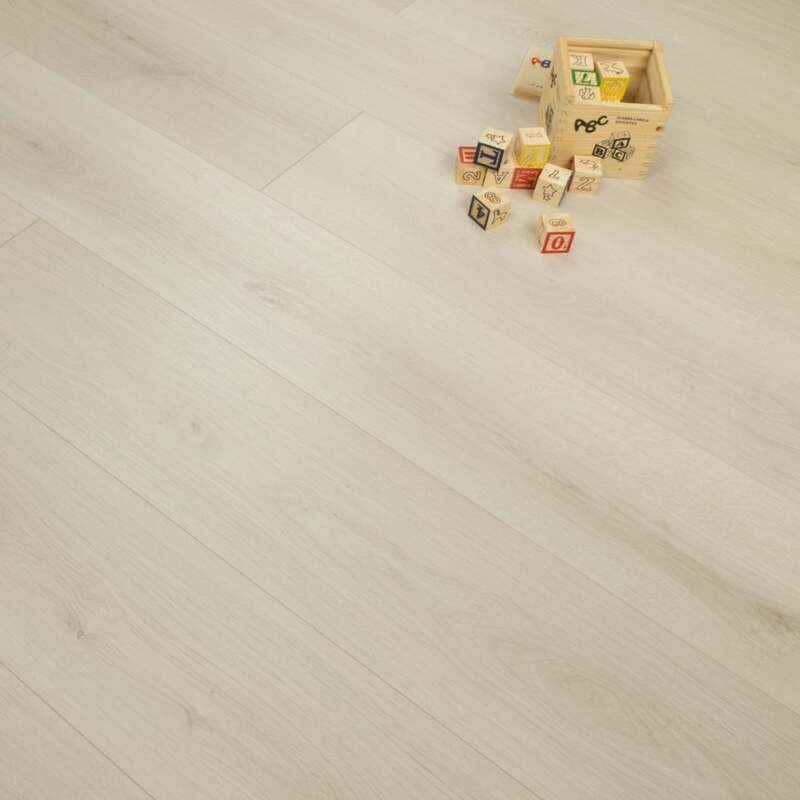 Sydney Ivory Oak is a beautiful effect oak 7mm laminate flooring. To match the Scandinavian style of living, the decor of the light oak looks calm and understated. The construction is High Density Fibreboard, meaning that's it's very durable and hard wearing, and will be more than suitable for a residential property. Ensure beautiful floors and trust a professional for installation. The products have a 15 year guarantee for private use.